and life goes on – Helena Hildur W.
Lighting the kitchen fire when dawn is yet to come. Paying bills and answering mails while grey morning light edges into the room. An hour later, the dog and I are running free, bare-headed under a silvery November sky. Memorizing the atmosphere and colours of the day, identifying the corresponding pigments; translating visual perception into materiality. Bringing it into the studio. To kindle the fire inside. Another small step, and the path unfolds. Afterwards, a pause and something to eat before it’s time to reach out again. There is no lack of work here. At ART LAB gnesta, we realize that we’re into something even greater than we understood at the outset; re-inventing art as our social method. To all friends in Ukraine: there are stories yet untold, and relations to develop. I hope to come back to you, from this new platform. For now, just this memory from Lviv, October 2011. 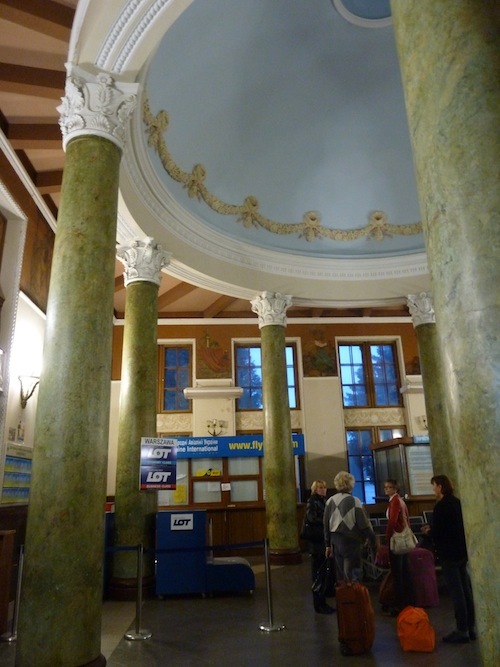 Lviv International Airport, October 2011; photo HHW.